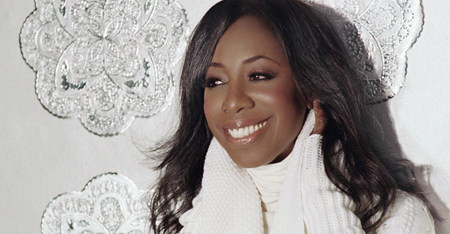 A long-time resident of Kansas City, Kansas, where she has found sanctuary from the turmoil of the entertainment industry, Oleta Adams also remains anchored by her upbringing in the Pacific Northwest. The youngest of three girls and two boys, Oleta spent her formative years in Seattle before traveling over the mountains at age six to Yakima, Washington, an idyllic town of 60,000. 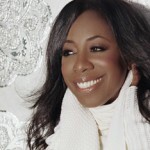 She first demonstrated her budding vocal gifts in the Pilgrim Rest Baptist Church where her father served as minister. Turning down the chance to pursue an operatic career as a lyric soprano, along with a scholarship to Pacific Lutheran University, Oleta instead spent a summer in Europe before heading to Los Angeles in the early 1970s. One demo tape and $5,000 later, she discovered that the disco movement had deafened music executives. Oleta’s gospel-flavored voice was not “in.” With the help of Coach Lee Farrell she wound up in Kansas City, where she launched her career playing piano bars, hotel lounges and showrooms. Oleta quickly became a local institution, with her own billboard and a regular gig at the Hyatt Regency Hotel. Celebrities from every musical genre caught her act, including Eartha Kitt, Cab Calloway, Air Supply, Gino Vanelli, Yes and Billy Joel. Finally serendipity came in the form of the British band Tears for Fears, whose frontmen Roland Orzabal and Curt Smith asked her to appear on their 1989 “The Seeds of Love’ album, video and European tour. Proving that good things come to those who wait, upon her return to the U.S. Oleta signed a record deal for her first solo album in 1991. With eight CD releases including secular, gospel, and a Christmas album, worldwide acclaim and over two-and-a-half million albums sold. Oleta’s musical odyssey continues – spiritually and creatively. For this consummate artist – composer – producer – musician, many goals remain on the horizon. The first of which is two new songs being released on iTunes from an in the works prayer album Safe and Sound & Long and Lonely Hours.